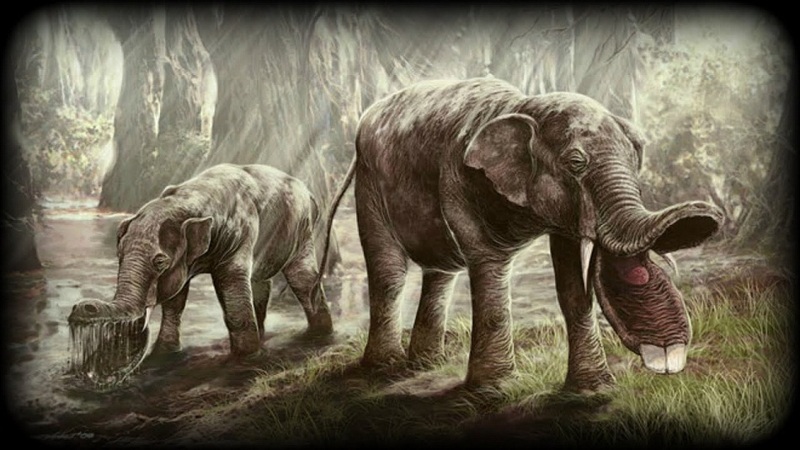 The Platybelodon was a genus of prehistoric elephant-like mammals from the order Proboscidea (those possessing a trunk-like organ), under which the modern-day elephants fall. They lived during the middle Miocene Era, and were semi-aquatic in nature. The reason for their extinction is yet unknown. However, it is generally believed that the changing weather conditions during the period might have resulted in a drought, thus destroying their feeding grounds, eventually leading to their disappearance. 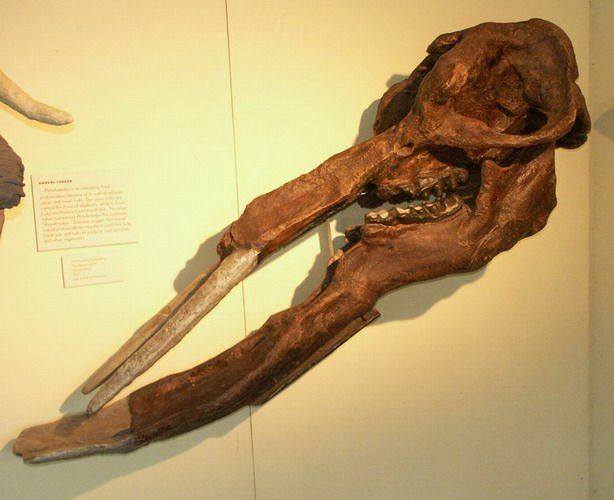 It was in the early 1920s that the fossils of the Platybelodon were first unearthed and described. The animal was named in 1928. Since then, a few more fossils had been discovered, especially from China, thus assisting the paleontological researchers to get a relatively clearer picture of the animal’s features and behavior. 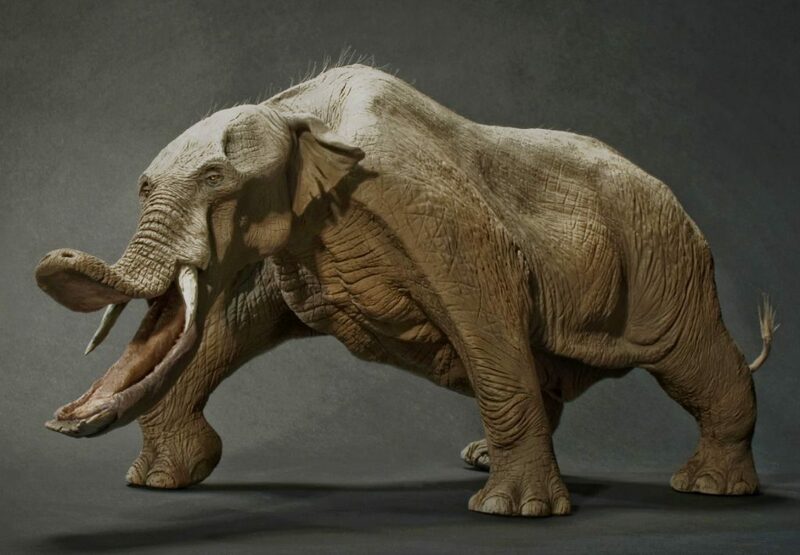 In the 1930s, paleontologist Henry Osborne first theorized that the animal used its powerful tusks like a shovel for uprooting swamp vegetation, and then, moving them into its mouth. The theory proposed by Osborne is currently been disputed since modern scientists believe that the elephant used their lower tusks rather to cut down tree branches. Like its other gomphothere elephant-like relatives, viz. 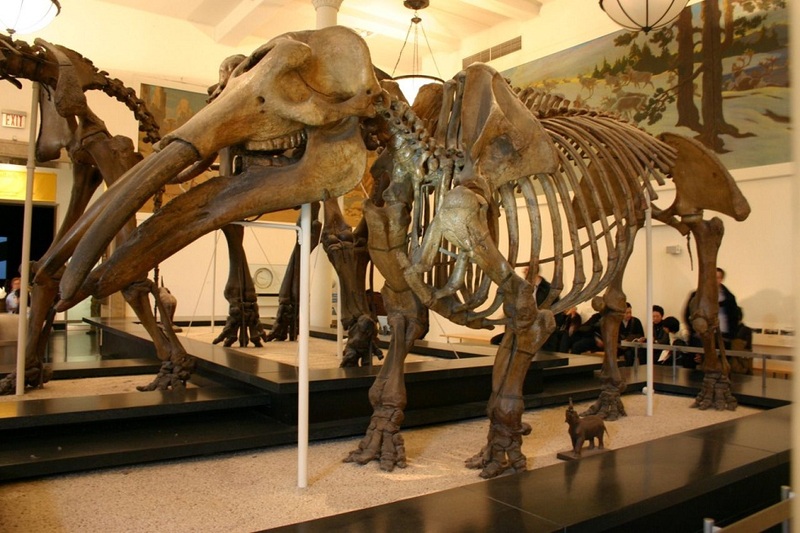 the Gomphotherium and the Ambelodon, the Platybelodon, too, by evolution, developed two tusks facing forward in the lower jaw. The characteristic shape of the tusks at the two sides of its skull was shaped and used as a shovel. 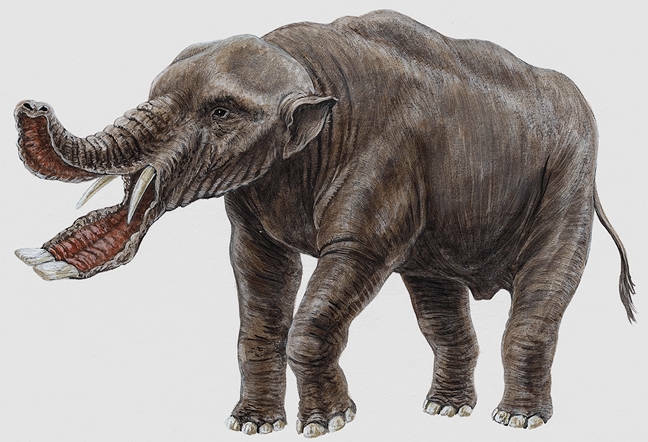 As is common with its other cousins, scientists believe that the shape of the strong and well-built tusks of the Platybelodon was an adaptation related to feeding and defense, including uprooting plants, stripping bark, as well as to defend itself from predators and enemies. Platybelodons were semi-aquatic, and is believed to have fed in the swampy environment of the grassy savannah regions. They may have used their pointed incisor teeth, forming the edge of the shovel-like tusks more like a scythe seen in modern days. Particularly, the adult individuals would probably consume coarser plant matters more frequently than babies and juveniles. 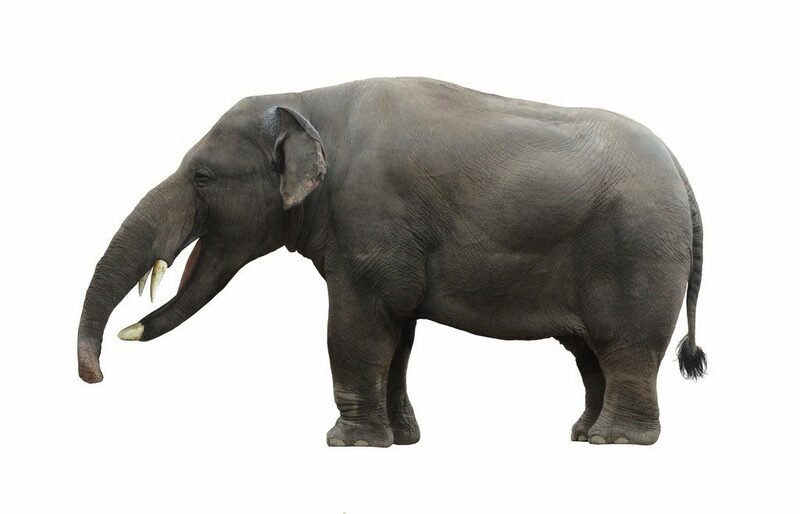 The meaning of the name ‘Platybelodon’ is ‘flat-tusked’. The animal was approximately as long and as heavy as a small car. Published on April 6th 2019 by admin under Mammals. Article was last reviewed on 2nd April 2019.